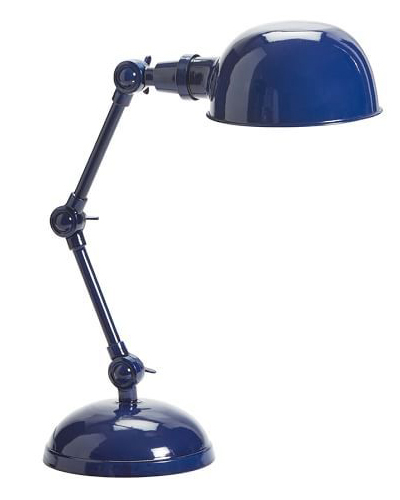 The dome shade and articulating stem of this Navy Blue Harrison Bedside Task Lamp are finished with subtle rub-throughs to accentuate its vintage look. $99. Buy here.